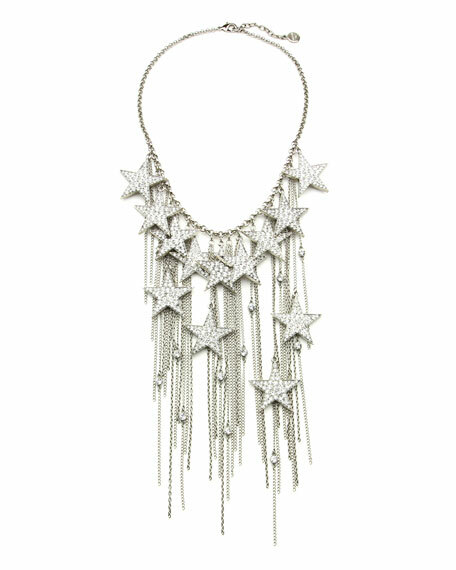 Ben-Amun "Rock Star" chain necklace. Silvertone hardware with crystal star charms. Approx. 18"L; 8" center drop. For in-store inquiries, use sku #2235689.